Estonia-based lender Placet Group is expanding its presence on Mintos! We have great news – Placet Group is expanding its presence on Mintos. Because of this, you now have the opportunity to invest in its Lithuania-based personal loans in addition to its Estonia-issued personal loans previously available on the marketplace. So take advantage of this great opportunity to earn net annual returns of up to 9%! Placet Group is a leading non-bank finance lender in Estonia. It started its operations more than a decade ago in 2005 and launched its first brand in Lithuania in 2011. The core values of the company include customer satisfaction that is the result of a high-quality service that is efficient and fast. Because of these values, the company has attracted over 200 000 unique customers in Lithuania. The average Lithuania-issued personal loan from Placet Group on Mintos is around EUR 700, the total range of loans from the company on the marketplace is EUR 50 to EUR 14 500. The repayment period ranges from 3 months up to 6 years, while 18 months is the most common repayment period. You can expect a net annual return of up to 9%. All loans from Placet Group come with a buyback guarantee. This means, if a loan is delinquent for more than 60 days the loan originator will repurchase the loan. The company will also keep 10% skin in the game, to ensure its interests align with those of investors. Placet Group has a history of low delinquency rates. The percentage of its loan portfolio that is delinquent is around 5%. Placet Group has disbursed around 540 000 loans in Lithuania worth EUR 70 million. At the end of 2017, its net loan portfolio in Lithuania amounted to EUR 9.5 million and the group net portfolio amounted to EUR 25 million. 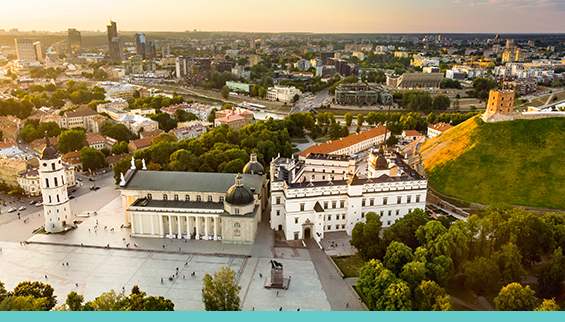 Don’t miss out on this great opportunity to invest in Placet Group’s Lithuania-issued personal loans! If you use Auto Invest then make sure you update your settings now.